Purdue University researchers are developing a new type of semiconductor technology for future computers and electronics that could replace today’s CMOS (complementary metal oxide semiconductor) transistors. It’s based on “two-dimensional nanocrystals” layered in sheets less than one nanometer thick. 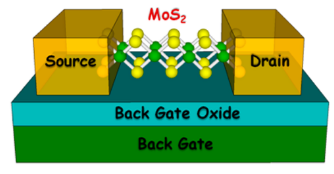 The layered structure is made of a material called molybdenum disulfide, which belongs to a new class of semiconductors — metal di-chalogenides. The nanocrystals are called two-dimensional because the materials can exist in the form of extremely thin sheets with a thickness of 0.7 nanometers, or roughly the width of three or four atoms. However, findings show that the material performs best when formed into sheets of about 15 layers with a total thickness of 8–12 nanometers. The researchers also have developed a model to explain these experimental observations. 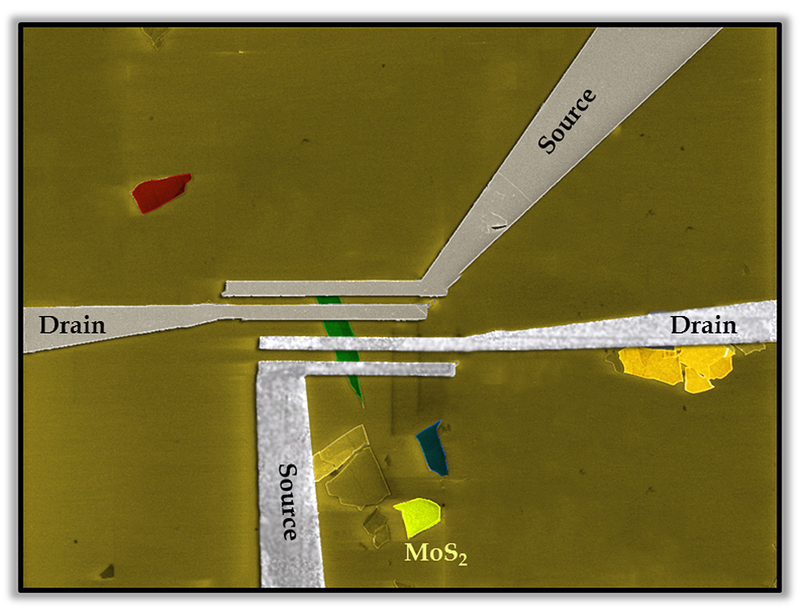 “Our model is generic and, therefore, is believed to be applicable to any two-dimensional layered system,” said Saptarshi Das, who has completed a doctoral degree, working with Joerg Appenzeller, a professor of electrical and computer engineering and scientific director of nanoelectronics at Purdue’s Birck Nanotechnology Center. Analyzing the material or integrating it into a circuit requires a metal contact. However, one factor limiting the ability to measure the electrical properties of a semiconductor is the electrical resistance in the contact. The researchers eliminated this contact resistance using a metal called scandium, allowing them to determine the true electronic properties of the layered device. Transistors contain critical components called gates, which enable the devices to switch on and off and to direct the flow of electrical current. In today’s chips, the length of these gates is about 14 nanometers, or billionths of a meter. The semiconductor industry plans to reduce the gate length to 6 nanometers by 2020. However, further size reductions and boosts in speed are likely not possible using silicon, meaning new designs and materials will be needed to continue progress. The research was funded by the National Science Foundation.